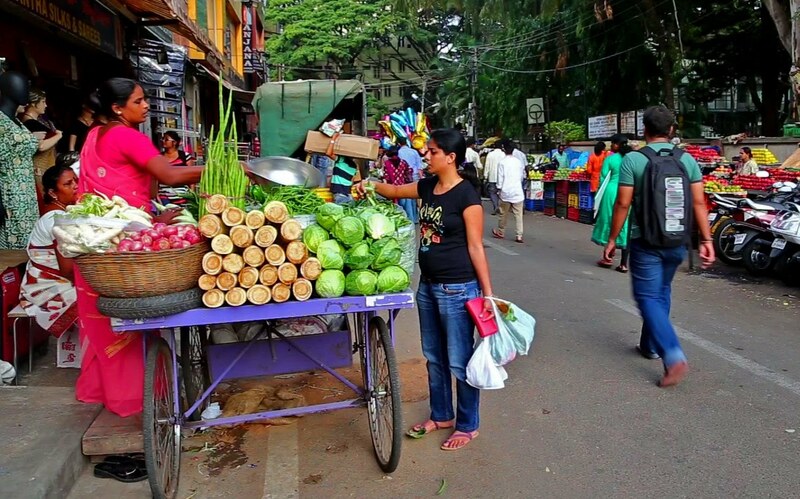 Home Featured 5 Best Places in Bangalore to Shop at Under ₹500! Locals are likely to know the best and cheapest places to shop at in any city. However, Zoomcar is unravelling the best places in Bangalore to shop at under Rs.500 just for you. Yes, you needn’t be a local to know these avenues for we’re spilling the beans for you. 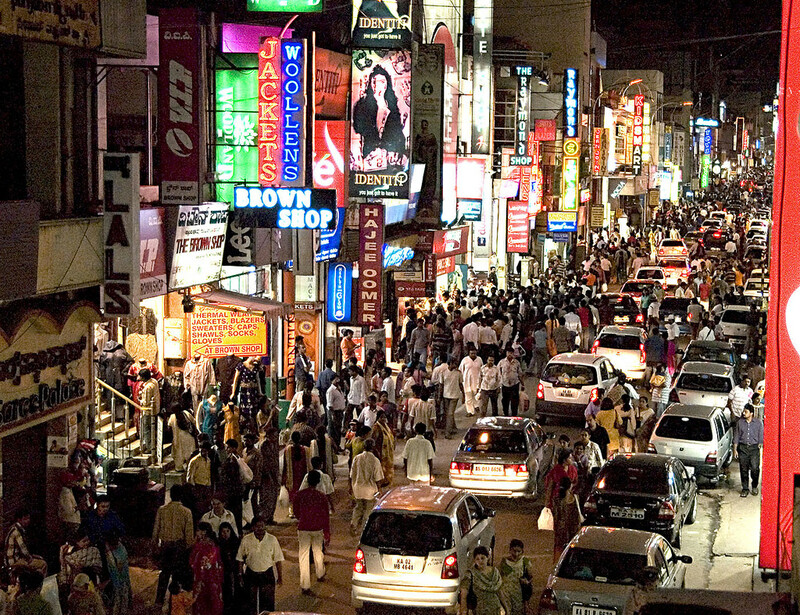 A popular wholesale and retail market, Chickpet is every woman’s dream come true. 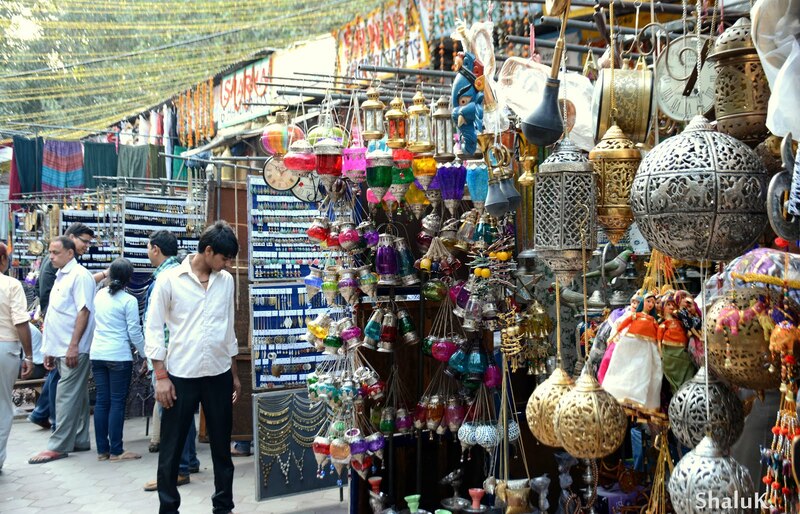 From silk sarees and textiles to jewellery, crockery and more, this market offers the best items at the best prices. Get clothes at wholesale prices and successfully take home half a dozen of items for under Rs. 500. However, the challenge lies in finding these amazing ‘hole in the wall’ shops that are clustered across the length and breadth of the market. So, just trust your instincts and explore the shops based on what appears attractive to you. Book A Zoomcar! When you’re on a budget head to Jayanagar 4thBlock. Fromreadymade blouse pieces for as less as Rs. 250 to cotton kurtas and slippers for around Rs. 100 each, this market is a shopper’s delight. Get dupattas, jewellery, and footwear, all at impossibly amazing prices. You could also find reasonably priced men’s clothing here – formal shirts, t-shirts, hoodies and more. Just use your bargaining skills well and get great deals. Don’t miss the lovely hair clips, tassels and ribbons here. 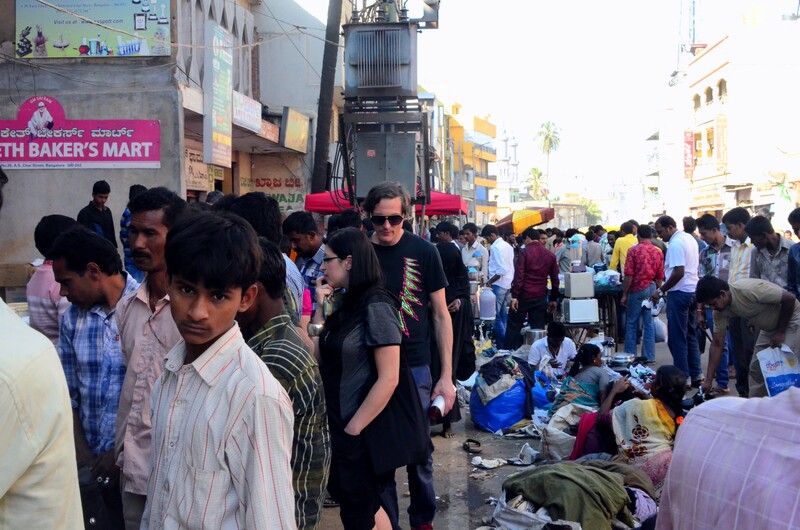 Old Bangalore’s Malleswaram market is a one-stop-shop for all your needs. You will find everything here – from grocery items to clothes, accessories, footwear, bindis, bangles and more. The market has its old market charm with hawkers and shops lined up in the streets. You will be able to shop well under Rs. 500 and will certainly not go home disappointed. What’s more is the eateries available in the market. Be it Veena Stores known for its idlis or the Iyengar Bakery that serves some freshly baked buns and puffs, you will sure fall in love with this market. Book A Zoomcar! Located in the by lanes of Brigade Road (Rest Hose Road), Dubai Plaza and Tibet markets are famous for their trendy shoes, clothes, bags and cosmetic products. A market for imported merchandise, this is the best place to get fashionable outfits and accessories for a reasonable price. Up your bargaining skills here and you’re sure to walk away happy. 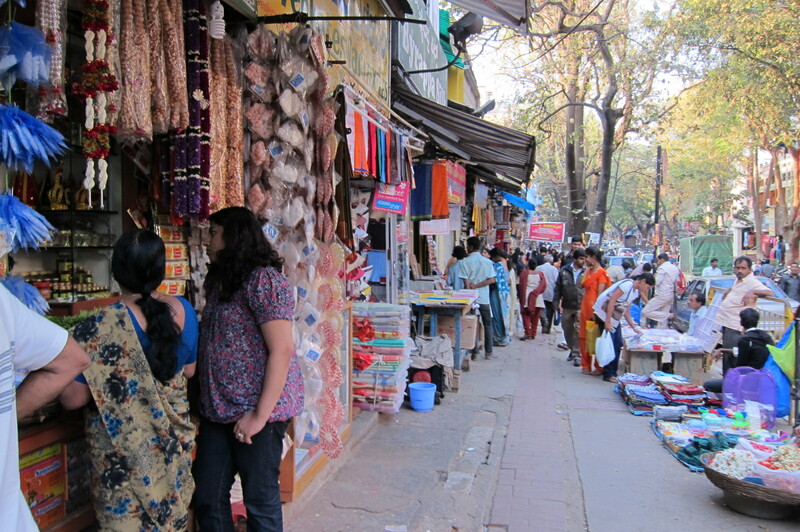 Bangalore’s famous shopping street – Commercial Street offers myriad options to shoppers to choose from – be it Indian outfits or western clothing, denims, shoes, bags or accessories, Commercial Street is a shopper’s paradise. While the price quoted initially is high, be sure to bargain to get a good deal. You also have a lane full of tailors offering you 1-hour stitching of kurtis, etc. This shopping hub is popular for both women and men’s shopping. 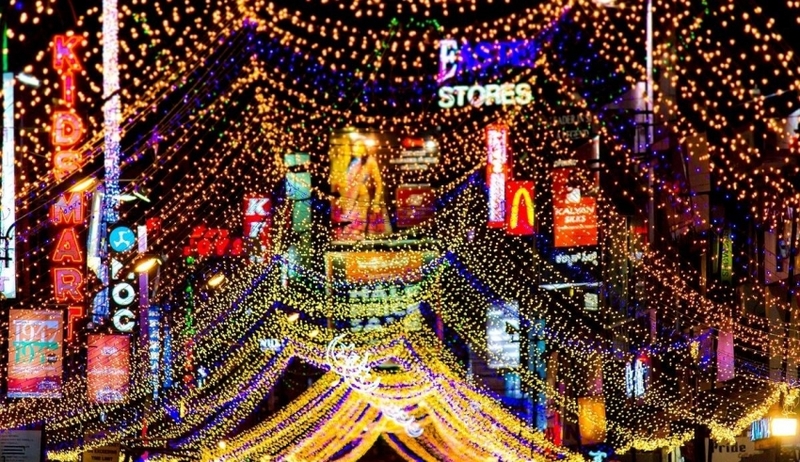 Dazzling with beautiful lights in the evening and eateries located in every nook and corner, you will love you shopping extravaganza here. There you go, you now know the cheapest and best places to shop at in Bangalore. Your weekend plan is set. Hurry up! Begin your shopping spree without hurting your pocket! Previous article 5 Offbeat Places To Unwind In Bengaluru On A Weekday! Next article Environment-Friendly Driving made Real with The Mahindra Electric e2O plus!